CHICAGO -- A man has been charged with firing a gun at Chicago Police officers early Thursday in the University Village neighborhood. 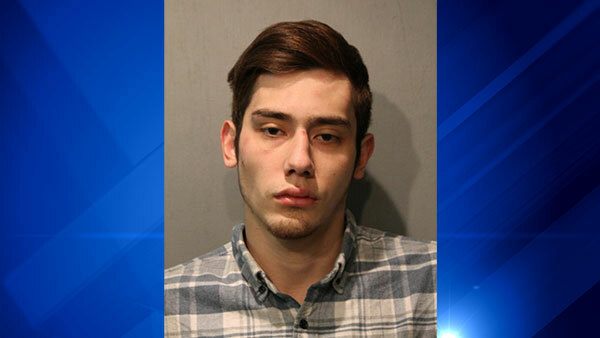 Marco Dipaolo, 22, of the 1000 block of West Taylor Street, was charged with three felony counts of attempted murder, a felony count of aggravated discharge of a firearm and misdemeanor counts of aggravated assault with a deadly weapon and possession of a firearm without a valid FOID card, according to Chicago Police. Dipaolo was taken into custody shortly after 2 a.m. Thursday when Monroe District officers where fired at while responding to reports of a person with a gun in the 800 block of South Miller Street, police said. Dipaolo resisted arrest as officers tried to take him into custody. No one was struck by gunfire, but nearby property was damaged, police said. A weapon was recovered. Dipaolo was expected to appear in bond court Saturday.